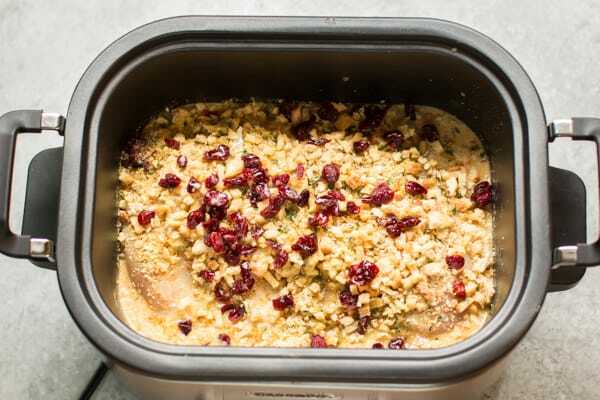 All the holiday flavors in this Slow Cooker Chicken and Stuffing recipe! Hi again! If you are like me you can’t get enough of the holiday flavors. This meal has just about everything you need for an easy dinner. 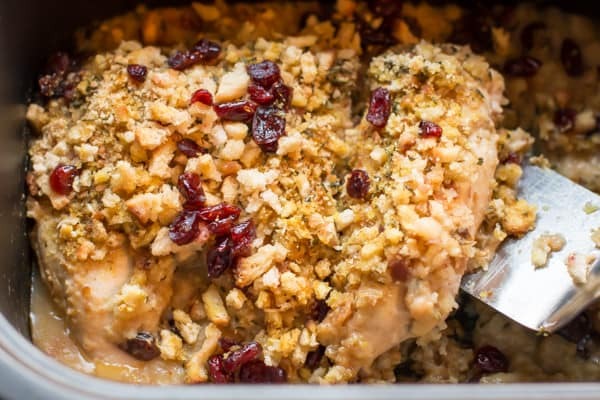 Chicken, gravy, stuffing AND even cranberries in this beautiful meal. I start by whisking two gravy packets and water together. I use a little less water than the package says because the chicken will let off plenty of liquid, and we don’t want this to be watery. I add about 2 pounds of chicken breasts. 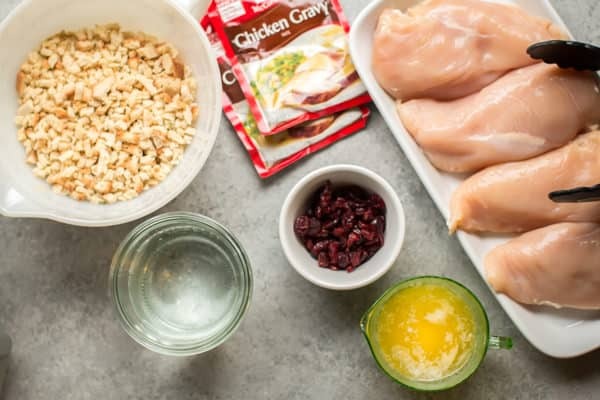 Use as much chicken as you will need for your family, 1.5 pounds will work fine in this recipe too! 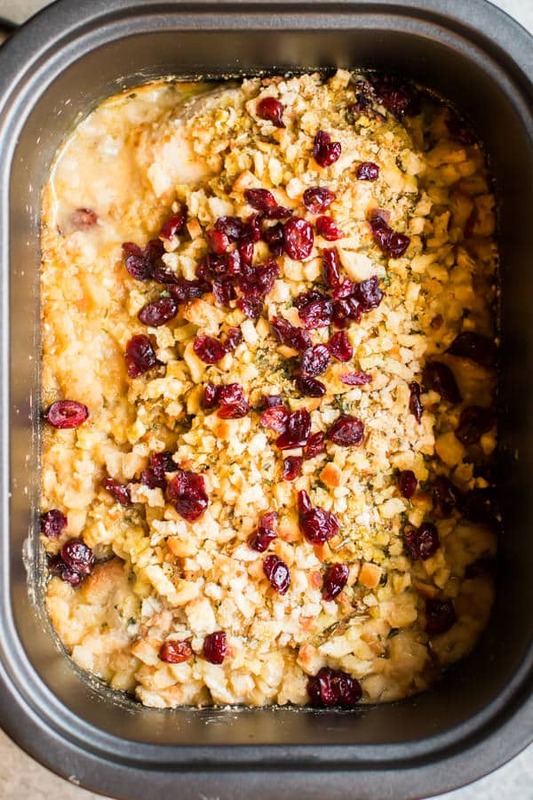 Then I add a box of Stove-Top® stuffing, dried cranberries and melted butter. 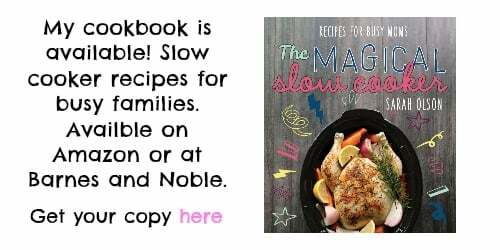 I cover the slow cooker and let that cook for 6 hours on low. Below is what the dish looks like all done. 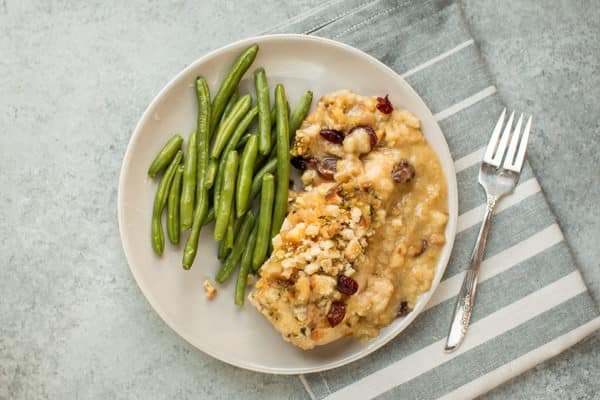 The chicken is tender, the gravy has thickened and the stuffing is steamed and soft. Aren’t the cranberries beautiful in this?! I know I serve a lot of my meals with steamed green beans, but they are so good and easy! Below is my YouTube video of how to make this easy dinner. You can follow me on YouTube here. 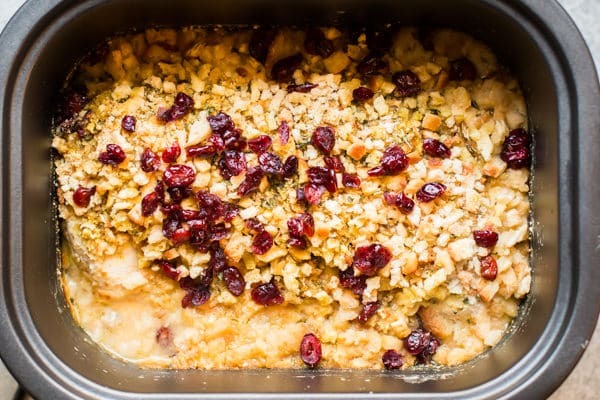 If you are having a small Thanksgiving or Christmas, I think this dish would work well, and a heck of a lot less dishes too! Have a great week! 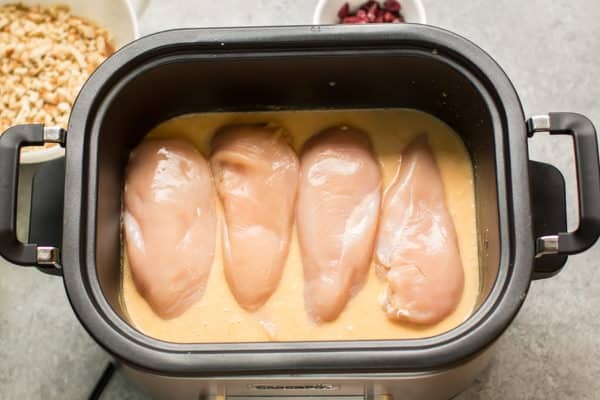 If you have a silicon whisk, whisk the water and chicken gravy packs right in the slow cooker, otherwise do it in a separate bowl, then add to the slow cooker to prevent scratching the slow cooker insert. Add the chicken breasts into the gravy. Sprinkle over the stuffing mix. Sprinkle over the cranberries, then drizzle over the melted butter. 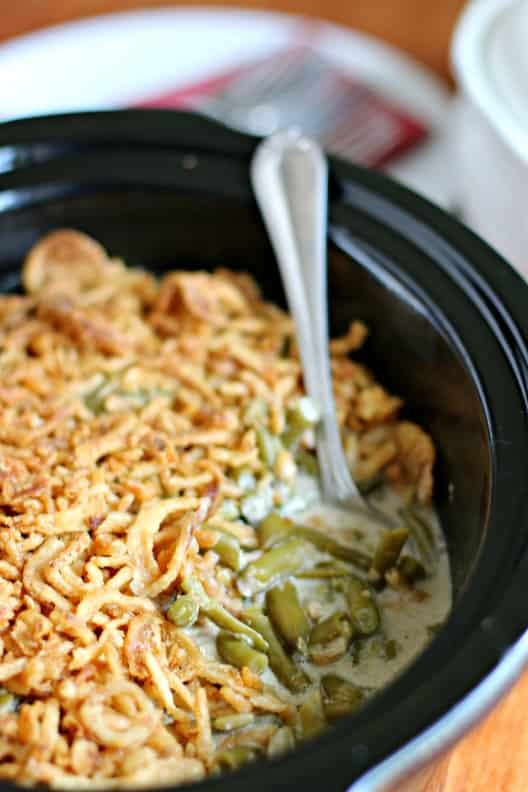 Can I use the casserole crockpot to make this? Yes I think it would do great in the casserole crock. 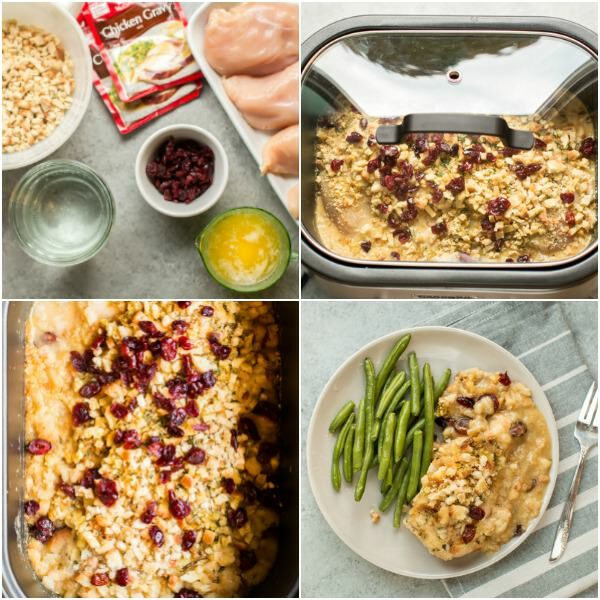 Interested in replacing my current crockpot, what is the make and model used for this recipe. Unfortunately not fond of gravy. Is there a substitute for the chicken gravy? Otherwise sounds delicious. 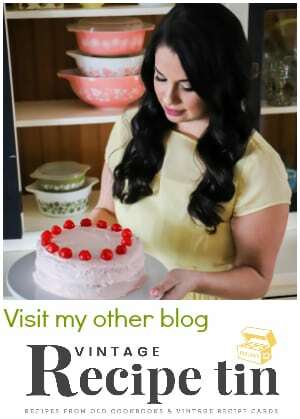 Do you have any tips for doubling the recipe? Hi Miki, I am unsure how this would do doubled. If you do try it, make sure to keep the lid on the entire time to ensure the moisture stays in. Do you thaw the chicken first or can you use frozen chicken breast? I think you can do frozen for this recipe, keep the lid on the entire time for sure though. I messaged this to my daughter and she said it did not look good at all. Then I made it and now she loves loves loves this dish. She does not like turkey so she has requested that I make this for thanksgiving just for her. I do sub the butter out and use better than bullion, for kosher reasons and I use herbed bread cubes onion and celery for the dressing. Oh that’s too funny. 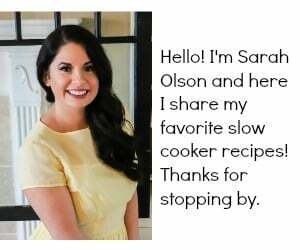 I’m glad you can make this recipe work for your family! 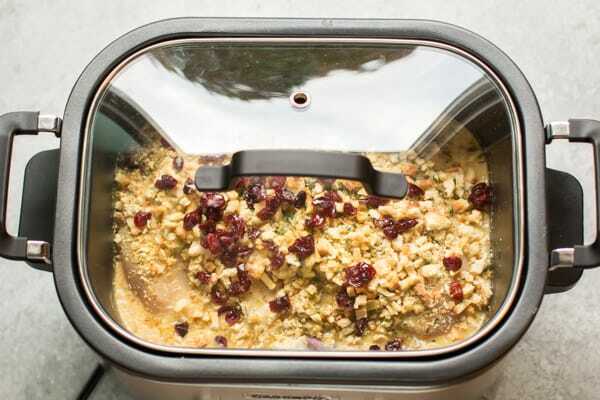 Do you mix the stuffing according to the package directions or add the dry stuffing mix and seasoning packet to the chicken and gravy in the crock pot? Put the stuffing in dry (stove top brand the seasoning is already it in the cubes). The butter and the steam from the entire dish will fluff it up. Looks delicious! Do you think it would do okay on high 4-5 hours? I think 4 hours on high would work fine! 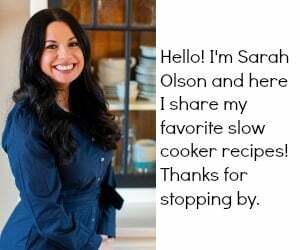 You are a slow-cook genius. This is delicious. I will try the teriyaki beef and lemon pesto chicken next. I will have a cousin visit in May. What could be easier than freezing a few recipes for company? Thank you. Hi Bea, I’m so glad you liked this and are trying others! Have a great visit. I was thinking of adding some frozen veggies? Do you think that would taste good, if so, when would you add?